Like many of you, I suspect, I have always had great admiration and even a special affection for trees. As a child in a sometimes chaotic family, I found peace and solace sitting high in a hundred year old sugar maple on Lake George Road with my book and a snack. But more recently, writing this blog has brought me time and again to startling new revelations about these giants of the plant world. So I thought in these lingering winter-ish days of early spring, we might take a few minutes to marvel at trees – and plants in general. Mature oaks like the one at Bear Creek’s Center Pond can feed their saplings through the mycorrhizal fungi. In February of 2017, I shared what I’d learned about the recent scientific work that shows how endless miles of mycorrhizal fungi create a “wood-wide web” beneath forests. Trees benefit from allowing these underground thread-like fungi to pierce or wrap around their roots because the fungi provide them with more nutrients and water than is available through their roots. In fact, the web created by these fungi can reach a soil area up to 700 times larger than a plant’s roots can reach on their own – a huge benefit! Trees in turn feed these fungi the sugars created by photosynthesis that the fungi need to grow – symbiotic teamwork that benefits both species. Check out this short video for a visual representation of how this relationship takes place. Trees also use this web to feed other trees, including, it is now reported, their own saplings and other trees. In March of 2017, I explored the many similarities between humans and trees. 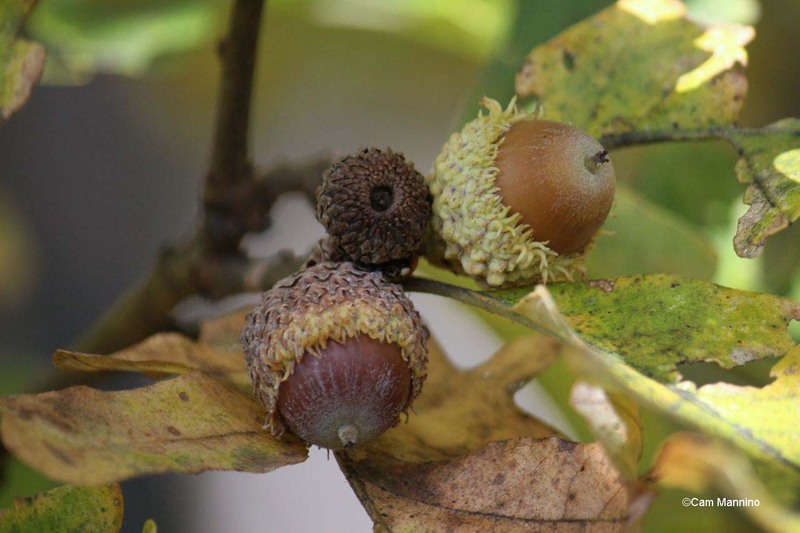 For example, I marveled that oak, hickory and other trees in a forest somehow coordinate their production of nuts by periodically but irregularly creating huge amounts of them. We call these abundant years “mast years.” One of the hypotheses on mast years is that predators like deer, blue jays, squirrels and such can only eat and store so many nuts in any season. So during mast years when trees produce an abundance, many more nuts are left to start young trees either through being left behind or being “planted” and forgotten by the animals that store them. Tree teamwork! Scientists have several hypotheses about this phenomenon, but have not yet reached a consensus on why and how mast years occur. According to Wikipedia’s Evolutionary History of Plants, the first land plants may have evolved about 850 million years ago at the edge of those ancient bodies of water. These early mat-forming plants had no vascular system or roots so it was impossible for them to find a reliable source of water and nutrients on land which was still solid rock. Soil, after all, was created later by decaying plants. So they were either restricted to moist settings as mosses are today, until they developed a waterproof outer layer (or “cuticle”) and other adaptations that allowed them to survive until water was available again. 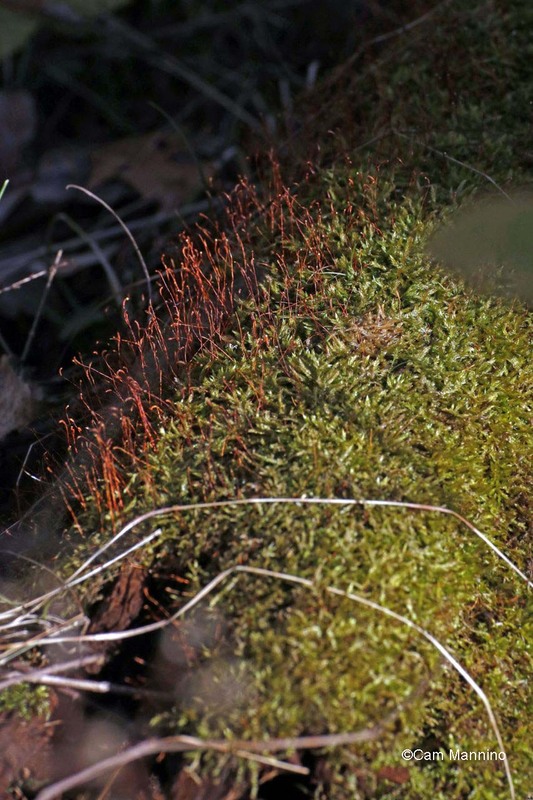 Modern day mosses function a bit like the first land plants – needing a wet location to survive and reproduce. According to Plantae, a website founded by the American Society of Plant Biologists, primitive forms of those mycorrhizal fungi may have helped out by attaching themselves to plants and bringing them the inorganic nutrients and water they needed to photosynthesize in their rocky new environment. So the relationship between plants of all kinds and these weblike fungi goes back hundreds of millions of years! Perhaps our very existence, then, is owed to mycorrhizal fungi! Hooray for those ancient mushrooms! Ancient Plants Living and Dying Made Life Possible for Oxygen-dependent Creatures like Us! Eventually, around 400 million years ago, some land plants began to develop leaves, roots, and a vascular system which transported water and nutrients. The rigid vascular tissue also allowed plants to grow sturdier and taller. Below is a fossil photo and an artist’s rendering of Cooksonia, an ancient vascular plant group that is now extinct and seen only in fossil remains. During warm periods, newly developed roots allowed prehistoric plants to take in water and nutrients from the earth, while newly evolved leaves took in carbon dioxide from the air through their stomata, the little mouth-like holes in leaves. 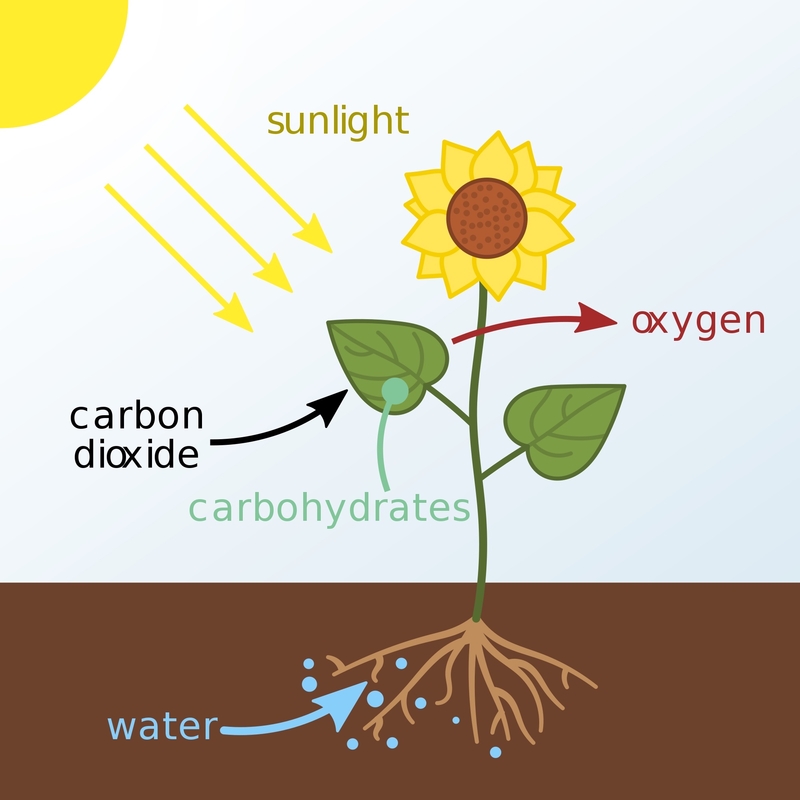 Through photosynthesis, plants converted light energy to chemical energy stored in sugars. They used the sugars to grow larger and reproduce. Oxygen is the other byproduct of photosynthesis, so as leafy trees got larger, they began putting greater amounts of oxygen into the atmosphere and removing larger amounts of carbon. Eons of land-based plant material changed the earth’s atmosphere, making life possible for the oxygen-breathing creatures that evolved millions of years later – including us, of course! Thank goodness for that algae and cyanobacteria combo a billion years ago! Because of photosynthesis and the new abundance of oxygen in the atmosphere, organisms like mammals and birds with fast metabolisms evolved. A rich diversity of oxygen-loving organisms occupied the earth for millions of years before humans and their predecessors came on the scene. Trees Still Supporting Life on Earth – including Ours! The trees we know, love and rely on today – oaks, maples, walnuts and such – first appeared on earth about 65 to 144 million years ago. They blanketed the earth long before modern humans arrived about 30-50,000 years ago. Their leaves, like the ancestral leaves of early plants and trees, are still supplied with chloroplasts stocked with chlorophyll and other light-absorbing pigments from those ancient cyanobacteria; in fact they turn the leaves green by absorbing reds and blues while reflecting the green part of the spectrum. So trees are still busy storing carbon and sugars while releasing the very oxygen we need to survive. 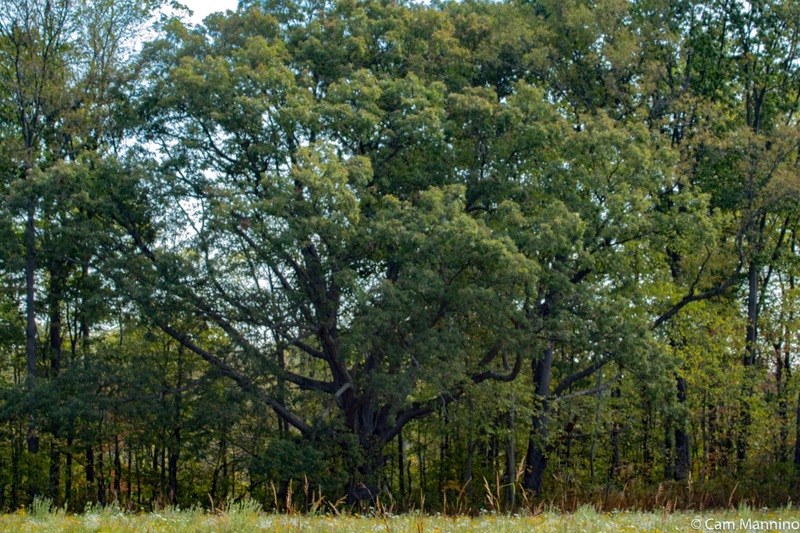 Many of the trees we know in modern Michigan originally appeared 65-144 million years ago and colonized our landscape after the last glaciers retreated. I learned from a National Geographic article that during northern hemisphere winters, carbon dioxide builds up in the atmosphere. 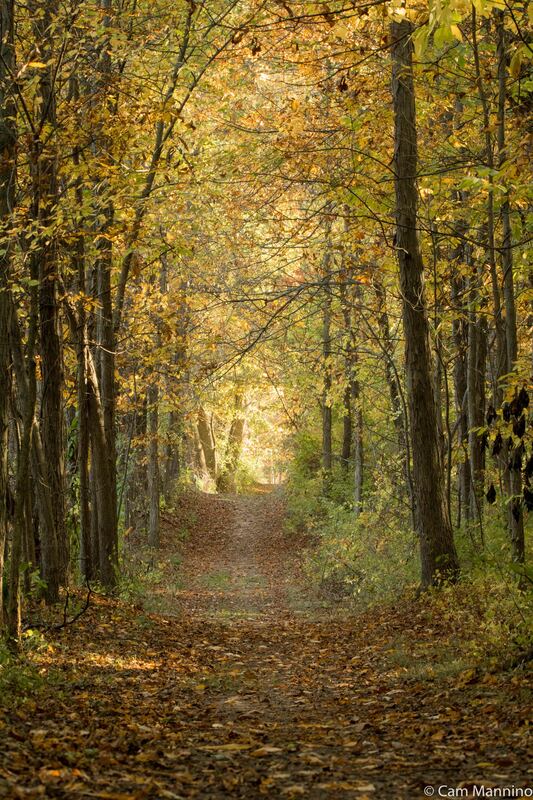 Once deciduous trees drop their leaves, they temporarily cease their photosynthesis. Check out the fascinating month-by-month NASA video down the page in this article to see the red areas of carbon dioxide in the northern hemisphere during the winter months, December through March. When springs arrives, leaves sprout and a huge number of trees in the northern hemisphere go back to absorbing carbon dioxide through photosynthesis. Watch the months June through September on the NASA video and see what I mean! 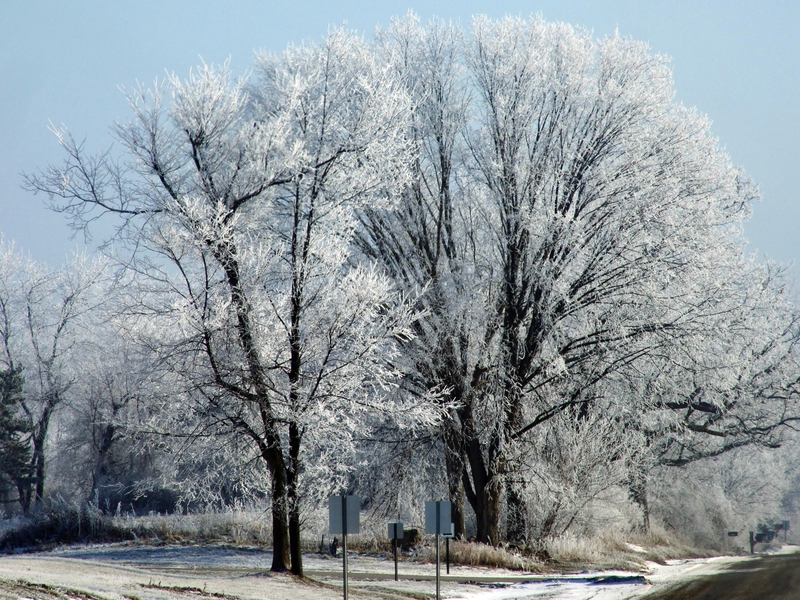 Carbon dioxide increases above the northern hemisphere in winter when trees are bare and little photosynthesis can occur . 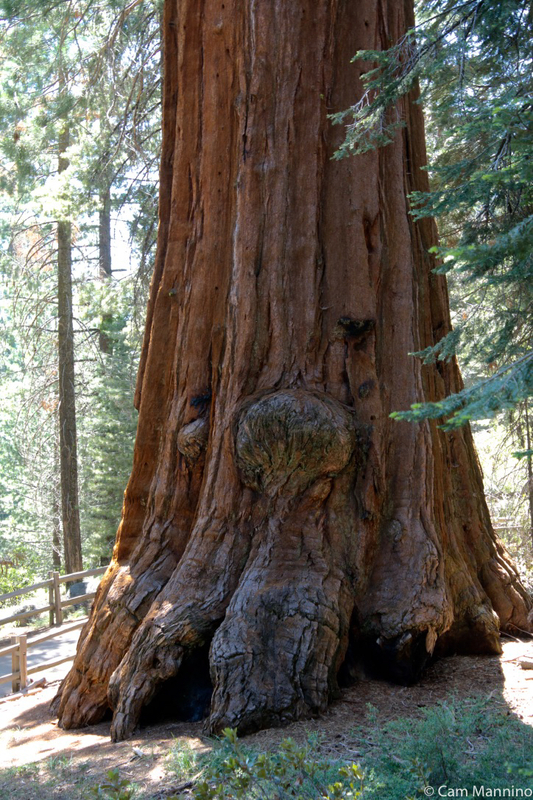 Sadly, trees can’t remove enough carbon dioxide from earth’s atmosphere these days due to human use of fossil fuels, which is releasing huge amounts of stored, compressed carbon from the remains of ancient living organisms, including trees. In Shakespeare’s Troilus and Cressida, Ulysses tells Achilles, “One touch of Nature makes the whole world kin.” Though Shakespeare meant something quite different, the line occurred to me as I came to a deeper understanding of our intimate, essential connection to trees and other plants as well as our fellow humans. We share the double helix of DNA, after all, with all living organisms – plants as well as animals. What we don’t share is the ability of plants to turn sunlight into sugars, fiber, fruits, nuts, vegetables, grains, etc. Every single thing that we eat to stay alive comes originally from plants (although algae and some other organisms also photosynthesize). Even the meat in our diet comes from animals who survive by eating plants or by eating other animals that eat plants. We depend on plants to feed us and we depend on them for the very oxygen we breathe. Up until the 20th century, trees and other plants could also effectively use or store all the carbon dioxide we and our activities exhaled into the earth’s atmosphere. They still contribute to that process. We can’t survive without plants. Yet they survived for millions of years without us. So that encourages me to think that caring for nature isn’t just a matter of loving and enjoying nature or being a good-hearted steward of our “natural resources.” It’s really a matter of enlightened self-interest for our species. Caring for and respecting our “kin” in the natural world that support us and nurture us is simply a matter of our survival, as well as a joyful activity.